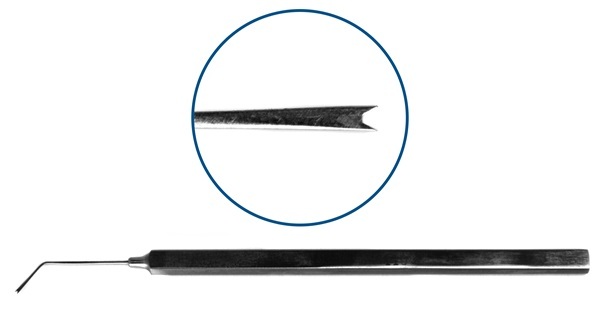 Angled shaft, 10mm from bend to tip, V-notched tip, 0.5mm wide flat spatula. Flat handle. 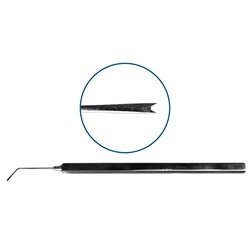 Overall length: 121mm.